Our inert response to Libya’s terrorist pep rally. This was a matter of American interest. More than that: it was actually an American matter. And the contempt that Great Britain, particularly Scotland, and Libya have shown the United States in it is a fact with which we must conjure, lest this drama in four parts otherwise define, delimit and demean our very position in world affairs. This is a choice that neither Russia nor China ever seem to face. That is, they never stand down (or seem even to contemplate standing down) from what they deem to be core. Take, for example, Georgia or Darfur, which on any reasonable reading would be far from core. Our centrality in this case, however, should be self-evident. Pan American 103 was an American carrier, "Clipper Maid of the Seas," on its way on December 21, 1988 from Heathrow Airport, London to J.F.K. in New York. Of the 270 dead, fully 189 were Americans, two were infants at two months, and one was an elderly gentleman of 82. There were 66 students on board, plus 17 men in the U.S. defense and security services. Ah, maybe one or a few of these folks were the targets of the bombing, you might be saying to yourself suspiciously. But then this would truly be an act of outright war against the United States. It took eleven years before a trial was held, much of this time spent in odious negotiations with Moammar Gadhafi over a venue. Even Nelson Mandela was brought into the act, as he often is to rescue from justice some miscreant who happened be an ally of the "revolution." In the end, a new facility was actually built for the Scottish High Court of Justiciary on a former American military base in the Netherlands. I kid you not. There, one of the defendants was found not guilty and Abdel Baset al-Megrahi was tried and sentenced to life imprisonment. Ruth Wedgwood, professor of international law at Johns Hopkins University, has written an eye-opening article for Forbes.com on the legalities and illegalities of the process. Read it, please. Today al-Megrahi is free, as the Scottish Secretary for Justice Kenny MacAskill assures us that he “now faces a sentence imposed by a higher power." Will MacAskill or perhaps Gordon Brown represent the dead at the gates of mercy? Was it not rather a gift to Gadhafi on the near-eve of his 40th anniversary as tyrant of Libya, an event that Prince Andrew, the Duke of York, was scheduled to attend. The despot acknowledged the intercession of Brown with Scotland for the prisoner's freedom. Brown and his associates, pre-eminently the Baron Mandelson, have denied this. What they have not at all denied is their argument here, there and everywhere that there are, as the Times pointedly put it, lucrative business deals for Britain with Libya. Read the article by the incomparable John F. Burns in Sunday's Times, devastating proof that both Tony Blair and Brown were in cahoots on this (in)human transaction. Or, as Lord Trefgarne (can these names be real?) intoned, "Megrahi's release had raised hopes that the Libyans would 'move a bit more swiftly' on those deals." Oh, joy. The news stories in the daily press are searing, survivors' tales, the tales of remembrance and what-might-have-beens. Can it really be true that, given our human stake in this multi-generational grief, the United States had not militated against the release of someone who was really a mass-murderer, a mass-murderer mostly of our own? Certainly the Obama administration knew about the deal that was about to happen. In fact, the specific deal has its origins in parleys with Blair that go back to 2007 with, as Burns asserts, "Mr. Megrahi its most obvious beneficiary." Which, if you look at the calendar, actually brings us back to George Bush, who in 2004 and under the tutelage of Condoleezza Rice made a deal bringing Gadhafi in from the cold, so to speak. The war in Iraq was going so badly that the administration felt it had to lure in at least one Arab leader. Better yet, an Arab leader with nuclear ambitions. Now, as it happened, Libya had made virtually no progress with atomic weapons. Mischief-maker, yes; real trouble-maker, no longer. But here was a scalp and a much-reviled scalp, at that. The transformation fooled some people, and it energized others. Take Time Magazine Arabist big-thinker Scott MacLeod. The release of al-Megrahi is an enormity all its own, a sabotage of justice. It tells you a lot about the new America's persuasive powers with its closest ally that it could not preclude his unfettering. Why the American government did not raise the issue of setting the murderer free before he was rescued by British financial interests is left to speculation. What is certainly true is that neither Brown nor Obama could get a believable commitment that the freeing of al-Megrahi would not be accompanied by a taunting of the United States. And if this taunting was preordained or foreshadowed, would it not have been better that Washington be defeated in honorable glory rather than being led into humiliation and ignominy by craven London and Edinburgh? In the wake of the official delirium awaiting al-Megrahi in Tripoli, the president was quoted as characterizing the images as "highly objectionable” and "disturbing." A group representative of survivors of the 270 dead did much better, branding them "perfidious, repulsive and sickening." It is not as if Obama is usually shy with emotional oratory, although he is rather shy in admonishing Muslims, a difficulty he seems not to have with the Israelis. Nor was the president's counsel that the mass murderer should be placed under house arrest more apt. Indeed, the assistant secretary of state for pubic affairs, P.J. Crowley, basically admonished the president with these words: "In essence, the Scottish minister today said that a convicted terrorist has a right to die at home, and the United States could not disagree more." Does it really? 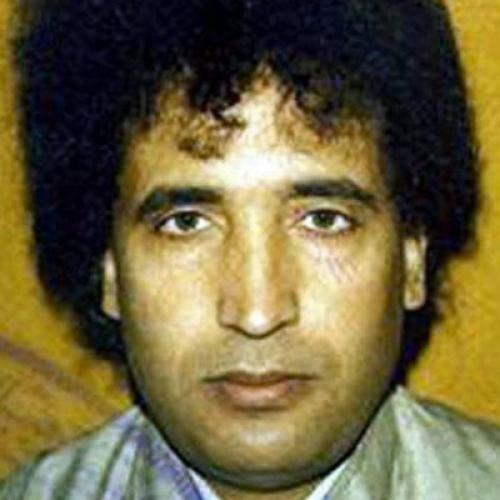 The tumultuous welcome of the hero by a huge crowd with Gadhafi's son, Saif al-Islam Gadhafi, at his side was described in chilling terms by the Deutsche Presse Agentur (DPA). He was released, said the DPA, quoting MacAskill, so that "he could die in his native country." This, I suppose, is a new human right, perhaps soon to be certified by Mary Robinson, who now wears the honor of the Presidential Medal of Freedom. Later on, al-Megrahi was greeted by Gadhafi himself who, it turns out, is a relative. There is something pitiless and ghoulish in staging such a fest for a mass-murderer or terrorist. But I am afraid this is not the only such instance of jubilation. Thirteen months ago, Samir Kuntar, along with four Hezbollah members captured in the 2006 Lebanon war, was transferred from Israel to Beirut in exchange for two kidnapped soldiers, Eldad Regev and Ehud Goldwasser. The two turned out on arrival to be in caskets. But Kuntar-—who murdered two babies and their 31-year old father--was very much alive. He was welcomed in Lebanon by mass manifestations of adulation and enthusiasm, welcomed by virtually every leader in the country's body politic including, of course, Hassan Nasrallah. And, by the way, Bashar Assad, who bestowed on him Syria's most desirable honor. Newsweek observed, however, that the details of Kuntar's deeds are "so sickening they give pause to even some of Israel's enemies." Strangely, none of these enemies have identified themselves. I have my theory about the inertness (perhaps that’s too kind a description) of the Obama response to this grotesque spectacle: He is befuddled. His entire grand strategy rested on our ability to transform dozens of Libyas; his persuasive powers would make allies out of the rogue’s gallery of the Middle East. That was never an approach grounded in the hard realities of history or more than a surface understanding of his supposed interlocutors. It is a dream that should have died, once and for all, with the pep rally greeting al-Megrahi. But will this humiliation of Anglo-America change our policy? Unlike Obama, I have no illusions.